My Sunday Photo: 27 September 2015 | Phil – Refuelled! Quite often, pictures really are about noticing the moment, and recording the beauty. This water drop, hanging from a seed-head, arrested my attention one morning this week. For this picture, I’ve cropped down the original image, leaving enough background to harmonise with the reflection in the droop itself. Great photograph and perfectly timed. What a stunning photograph. What lens are you using? 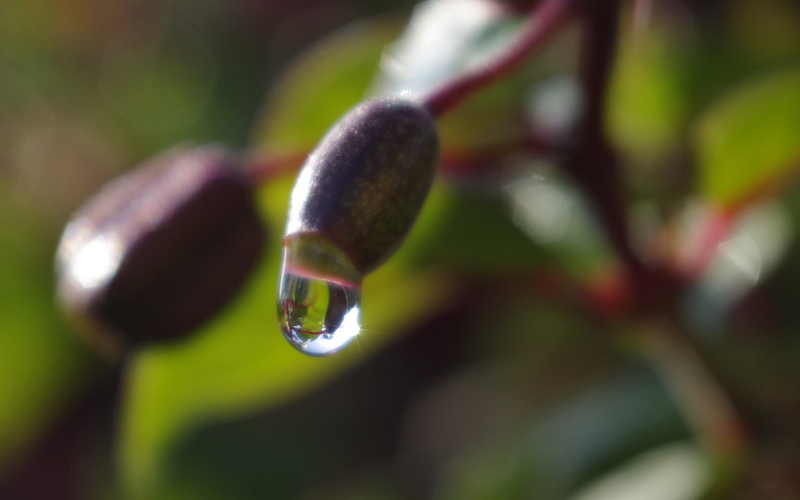 I really like how the light refracts through the droplet. Great shot. Oh my that is such a heavy drop, you couldn’t have left that a second longer! Amazing photo – love how clear that water drop is. That is amazing! Well done!